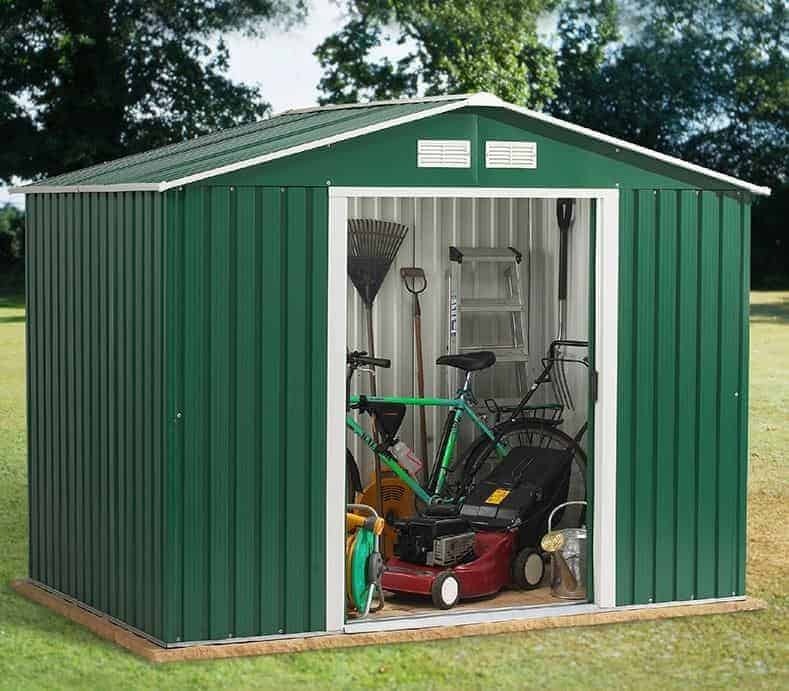 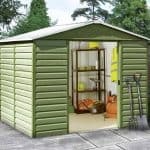 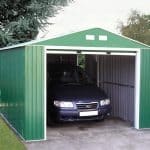 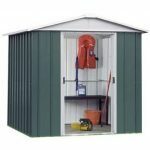 This is a roomy and spacious metal shed that comes with a 10-year guarantee against rust perforation. 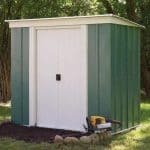 This is an excellent guarantee to have because it means that no matter how wet the building gets, you know you are guaranteed against holes appearing due to rust. 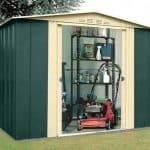 The galvanised construction for the building means that you also have an extra level of protection against rust and damage. 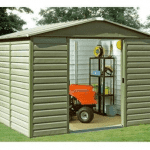 The quality of the building means that you can expect no cracking or warping, and there are also sliding internal doors for extra security and protection for your equipment.